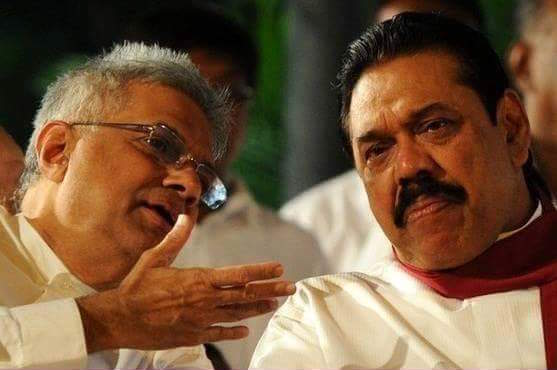 Chronically underrated all through his career and with no claims to special charisma Ranil Wickremesinghe seems to have found his spot in the scheme of things and he forges ahead in the electoral struggle with the former President, Mahinda Rajapaksa. The situation bears similarity to Maitripala Sirisena when he confronted his one-time cabinet boss at the Presidential stakes last January. Sirisena had no pretence to this elusive quality that we call charisma. He had as his own driving assets- a shrewd common sense, a good nature and the apparent unsophistication of the child of a farmer family. Sirisena decisively trounced his rival who looked King-like and formidable all the time. The term, ‘charisma,’ had been introduced by the great sociologist Max Weber many decades ago to indicate the kind of authority that a leader wields sans heredity,legal source or similar socially constructed or externally imposed authority. It is a quality emerging from the nature of the individual himself. Beyond that, what precisely constitutes charisma is the subject of unending debate. Is it ‘personality’? Cannot be, as that itself begs question and is undefined. It is partly derived from public perception of appearance. However, in terms of appearance Ranil Wickremesinghe looks little other than plain honest and straightforward. No hanky panky about him and he demands that he be assessed at his true worth. He wears coat and tie or simply a pair of pants with a belt around and avoids the kapati suite even in temple. He doesn’t dye his hair like Mahinda and wears no Satakaya-like symbol around his neck nor gold rings and amulets on his fingers. He is simply Ranil. In public behaviour, Ranil does not carry babies or get old women to worship at his feet. He is simply Ranil. I observed the contrasts of the two personalities when recently watching the videos of the popular Derana program, “360,” when first Mahinda Rajapaksa and next Ranil Wickreamesinghe were taken up. Mahinda seemed keen to emanate a sense of majesty; Ranil did not. Mahinda looked heavy before the interviewing young lady and I sensed the latter was a bit pressurised by his domineering presence. She was relieved to get through her prepared questions. On the other hand with Ranil, both were thoroughly relaxed. She kept on pressing the latter and one could observe she was enjoying the show with the Prime Minister. Mahinda Rajapaksa faired worse when it came to charges related to corruption and crime of his Ministers, family and cronies. He tried to dismiss the allegations as ‘revenge.’ When asked why he has threatened to dismiss the FCID if he comes to power, Mahinda said that the FCID was structured in a way to bring home a revenge agenda. Mahinda was unable to elaborate on that and the interviewer passed on, leaving the impression among the audience that she wasn’t convinced. The former President got into a bad hole when he stated that he would be investigating all alleged murders and crimes when he is next in power after August 18th. His audience was left gaping in jaw-dropping mode when this response suggested a counter question as to why he remained silent about them when in power and with all that power. He once suggested that he couldn’t attend to these accusations because of his ‘sanvardana weda’ (Development work!). Why on earth was that? Surely it needed delegation only! Prime Minister, Ranil Wickremesinghe, on the other hand looked calm and thoroughly knowledgeable about the wide range of subjects covered throughout the interview. He hadn’t a paper in his hand but rattled off facts and figures about, bridges, roads, education, industrial development, foreign investment, foreign policy, religious harmony, national reconciliation, and even the arts. Wasn’t that amazing? Ranil spoke of the future-of his Economic Zones, of his policies to encourage direct foreign investment, of his bringing about a ‘consocial’ structural arrangement in Parliament, his introduction of the Donoughmore style of Committee system, his plans for export agriculture and so on.Few political leaders on all sides display such an analytic and razor-sharp mind and such vision. Anura Kumara Dissanayake of the JVP is growing up to that level and he can make it soon if he develops proper vision. Ranil has always had emotional composure when challenged and I have often commented on his emotional intelligence (EQ). Modern research has found that a true leader must possess both high IQ and high EQ. Those CEO’s who have shone in the corporate ladder with brilliance have been possessed of such dual qualities. In fact, Daniel Coleman, in his seminal work on the subject has given more place to EQ than to IQ. 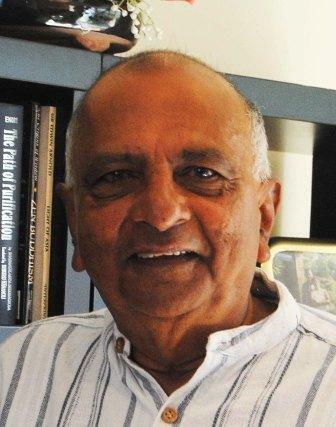 Over the last ten years of his hard and gruelling time under Rajapaksa rule Ranil Wickremesinghe admirably bore all the personal and political attacks-mostly engineered by the then government- without showing ruffle. 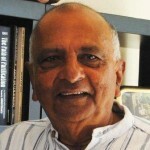 From the commencement when 17 of his MPs were grabbed by the former President, while the latter was having talks with the UNP leader about cooperation for the war, to the various subsequent episodes of leadership challenge Ranil kept his total composure-almost as if he knew in advance with an extrasensory perception that his time was coming. Many who were manipulated to leave his fold were asked to accuse that they left “because the leader was no good.” All this mounting barrage would have made any ordinary leader give up and go. But Ranil demonstrated great strength of character and self-confidence ( here is a pana ethi miniha) against all these manoeuvres. It is to his eternal credit that Ranil Wickremesinghe kept his party together in his resilient long and arduous journey upstream to the brink of victory. Judging by all forecasts now being made, it seems clear that Ranil Wickremesinghe is now firmly holding forth at that brink of triumph.